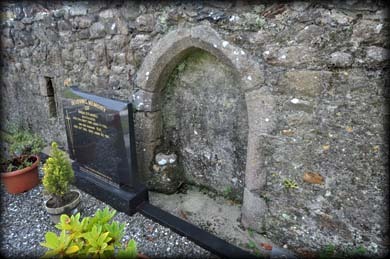 Situated in a small graveyard, between the R733 and the north bank of the Owenduff river, is the Parish church of Ballylannan. 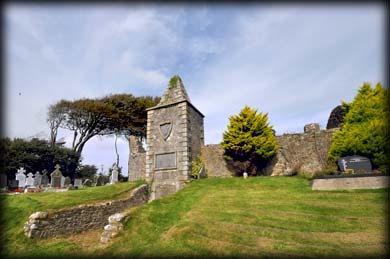 In 1824 the rectangular church was converted into a mausoleum for the Leigh family. At this time the pointed doorway and an original window, both on the northside of the church, were blocked up and a tower was added to the south wall. On the southside of the tower is an heraldic shield plaque. 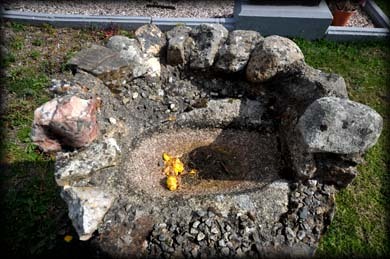 Mounted on a pedestal inside the graveyard is the bullaun stone pictured below. 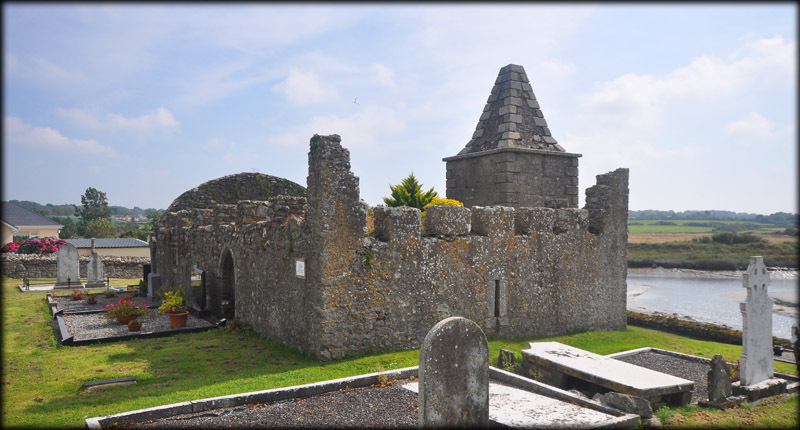 From the graveyard you can see across the river to the medieval borough at Clonmines. Situated: From Wellington Bridge head west on the R733 for approximately 500 metres. The church is on your left. There is roadside parking at the graveyard. Discovery Map 77: S 8462 1348. Last visit Sept 2015.